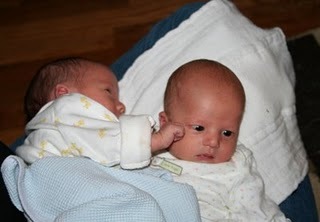 Ruslan and Wyatt are 3 weeks old today. Pictures from yesterday, Wyatt is on the darker blue blanket. Update of what’s happening here. 1 – I have mangaed to take a shower before noon almost every day since we have been home from the hospital. 2 – I left the boys for the first time last Friday to attend the Penguins playoff game – they were safe at home with Nonni, G, and Great-Grandma Julie and didn’t seem to miss us. 3 – We have been going to the Drs office for weight checks every 4-5 days. Last week after gaining 7 oz in just 5 days (they like to see 1/2 – 1 oz of weight gain each day at this stage), Ruslan passed his birthweight with 7 lbs 9 oz and didn’t have to go back. 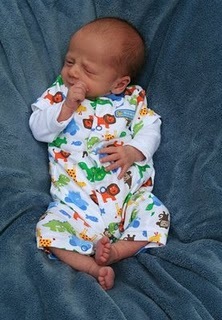 Wyatt had his last weight check today and weighed in at 6 lbs 13 oz – a 6 oz weight gain in 5 days. Of course we still go back to the Drs next week – 1 month check-up is coming up already. 4 – They are sleeping better at night – slightly longer stretches and falling back asleep more easily. Gives me hope for less sleep deprivation in the coming weeks. 5 – Ruslan is very noisy – grumbles a lot – when he is falling asleep and waking up; and makes lots of noise while he is sleeping, including snoring. 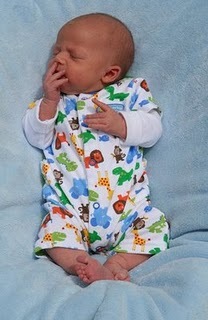 6 – Wyatt does not wake up calmly, he goes from sound asleep to screaming to eat in seconds. 7 – Both boys will take a bottle which allows me to get a 3-4 hour stretch of sleep while Daddy gives them a bottle of formula after I have gone to bed. 8 – They are very portable at the moment, they both fall asleep as soon as the van starts moving, and since their car seats snap into the double-stroller we can move them to the stroller and keep going. Ruslan generally sleeps from the time we leave the house until we return. Wyatt occasionally wakes up to see what is happening – he is afraid that he is missing something. 9 – Even when they are crying to eat in the middle of the night, I am amazed at the overwhelming love I already have for them. 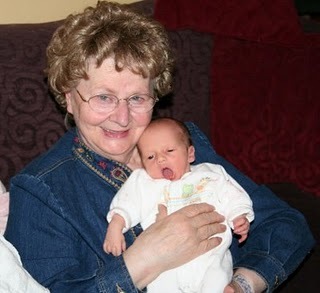 10 – My mom was here from 7:30 am – 10:00 pm every day for the last 2+ weeks – since we came home from the hospital. This week she will still be coming over before work to get Juliana breakfast and dressed and take her to school. It is such a blessing to have to near and have her support during this time. 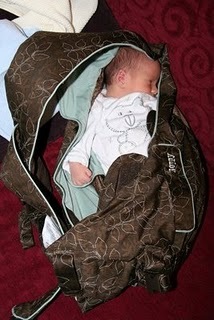 11 – Wyatt is happy to be carried around in the sling, while Ruslan has taken to the Snugli. 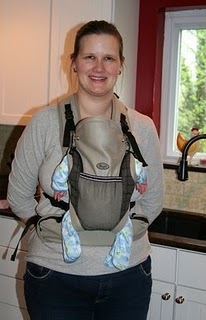 Juliana wouldn’t put up with any carrier so it is a pleasant change. 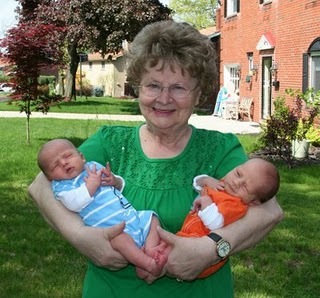 12 – My Grandma Julie came to town for a few days to meet Great-Grandchildren numbers 6 and 7. 13 – Family of 5 adjusting well and learning more about our new additions each day. You look fantastic! And the boys are positively adorable. Still.